July 1, 2016 By JRL, Esq. 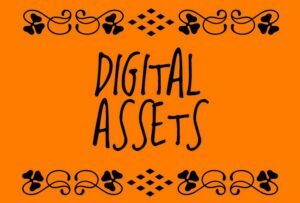 In Part I of our series of blog posts about estate planning for digital assets, we covered what digital assets are. In this post, we cover why it is important to plan for those assets. We also discuss the various obstacles that may be encountered in the ever-evolving legal landscape. When it comes to estate planning, we are often very good about insuring that real estate and financial accounts are properly re-titled in the name of a trust. However, and perhaps unfortunately, digital assets are often overlooked as an important step in the process of estate planning. How to Plan For Digital Assets? Making it easier for your Personal Representative and heirs. Your Personal Representative or heirs cannot deal with assets that they are not aware of or can’t access because they don’t have the proper passwords. And the more accounts that you have, the greater potential there is for problems. Preventing financial loss. 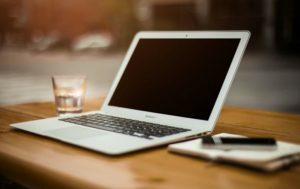 It is important that the Personal Representative know about your online accounts in order to prevent further depletion of such financial accounts. For example, health insurance premiums or utility bills may be set up to be paid automatically online. If the Personal Representative is not aware of the account or is unable to access it, unnecessary additional payments may be made beyond the decedent’s passing, which will cause either additional financial loss or, at a minimum, delay distribution as such funds are sought to be recovered. Clearly, it is important to stop such payments. Losing important treasures and documents. Tax records that were stored digitally may become an important tool in the estate administration. Or there may be irreplaceable photographs of the decedent’s family members or significant moments in the decedent’s life that may be lost if no one can access them. Minimizing identity theft risk. Unfortunately, there are those who try to steal the identities of those who have passed away in order to create new identities for themselves, often for financial gain. It is not easy to plan for digital assets. The law in this field is unclear or just nonexistent at both the federal and state levels. And while there have been some attempts at legislation in a few states, the results have been rather limited. The “Uniform Fiduciary Access to Digital Assets Act” was approved in mid-2014 by the National Conference of Commissioners on Uniform State Laws. Nevertheless, even this has been met with opposition over privacy concerns and a potential conflict with federal laws. This is an area where the law has simply not caught up to the real world. And what about ownership of the digital assets? Think of all the digital music purchased on iTunes or books from Audible. Many of these digital accounts are not actually owned by the individual who died, but rather were used through a licensing agreement. And who has actually read these agreements? Chances are great that the individual simply clicked “I Agree” when they signed up for the account. Some of the agreements may actually limit or even prohibit a transfer at death. And then there is the issue of safety. On the one hand, you would like your Personal Representative to have access to all of your passwords in order for them to have access to your various accounts upon your passing. However, if you make a list of all of your passwords, or if you simply use the same password for every account, there is a greater risk that these will fall into the hands of someone with malintent. So the question becomes what should you do? And how should you plan for these digital assets? In the third part to our series on estate planning with digital assets, we will explore some suggestions that can be used to help protect and transfer your digital assets.